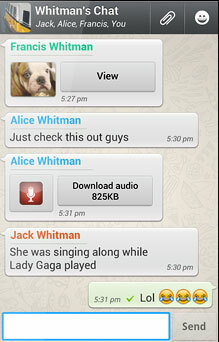 By now you've heard the news, Facebook have acquired messaging service WhatsApp, for $19B. Yes that's B as in billion, and while nobody questions the value of this service to Facebook - WhatsApp has become huge in India, for example, where Facebook is hardly known - everyone questions the valuation. Can any company without revenue be worth that much? I remember clearly when Google bought YouTube in 2006, for $1.7B, which was the incredible "what are they thinking" acquisition of its day. It took me a bit but I came to see that this had nothing to do with profit, revenue, or market share. It has to do with market cap. For a big public company like Facebook or Google, growth is difficult. They can release new products and keep acquiring customers, but tacking on big chunks of revenue is difficult. In order to support their stock prices, they must support their vision. When they buy a company, the value lies in what the acquisition does to their stock. In Google's case, their market cap rose by well over $1.7B right after the YouTube acquisition, so that they essentially bought the company for free. Investors paid for it, but then again those investors got their money's worth, too.